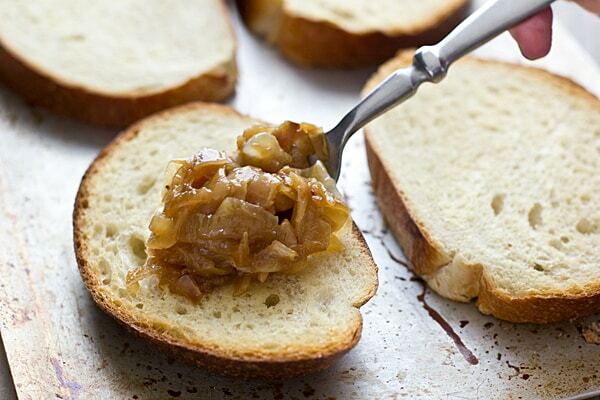 I can never, ever pass up the opportunity to make a recipe that involves caramelized onions. Are they a pain to make? Kind of. Do they take for-freaking-ever to cook down? Absolutely. But they are always worth it. 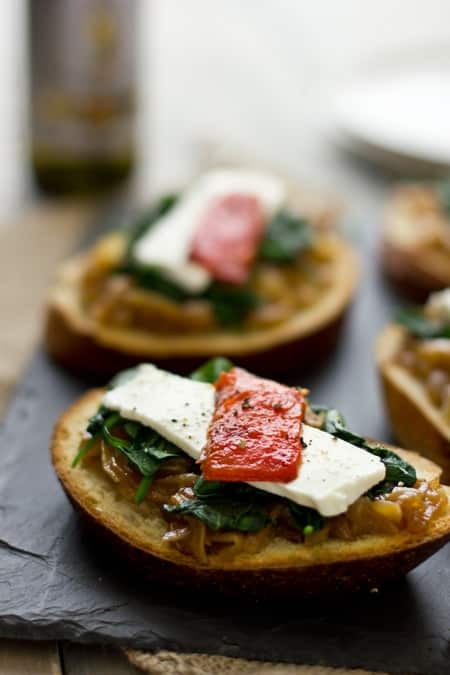 When I was given a list of recipes from Deborah Madison’s Vegetable Literacy to chose from for this post, my eyes immediately went to the open-faced sandwiches topped with caramelized onions. There was no way these wouldn’t be delicious! The sweet onions and thick slices of roasted red pepper paired perfectly with the salty cheese and earthy spinach. And aside from the time it took to caramelize the onions, these sandwiches were easy to make too. This is why I love Deborah Madison’s cookbooks–they elevate vegetarian cooking beyond veggie lasagnas and burgers, but in a way that’s not intimidating to the average cook. Vegetable Literacy: Cooking and Gardening with Twelve Families from the Edible Plant Kingdom, with over 300 Deliciously Simple Recipes was released this week and I was lucky enough to get a copy to review. As a vegetarian (and a fan of Deborah Madison’s work in general), I appreciate this book for its inspired recipe ideas, but as a gardener, I loved this book for the background it provided about different vegetables. Vegetable Literacy isn’t just a cookbook, you see, it’s a reference book too, dividing vegetables into different families (The Sunflower Family, The Cabbage Family, The Grass Family, etc.). Each vegetable receives its own write-up, with information about its origin, different varieties, and tips for cooking. If you have Vegetarian Cooking for Everyone , this format with information about each vegetable followed by tips and recipes will be familiar to you. 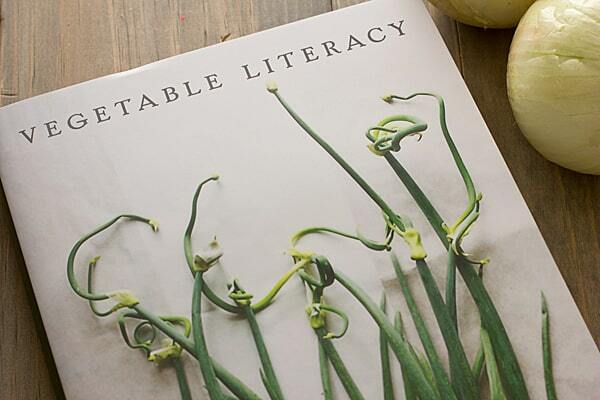 And if you love Vegetarian Cooking for Everyone, you will love Vegetable Literacy too. Like Deborah Madison’s other books, I know this one is going to be well-used in my kitchen. A rustic open-faced sandwich from Deborah Madison’s Vegetable Literacy. Reprinted with permission from Vegetable Literacy by Deborah Madison. Copyright © 2013 by Deborah Madison. Published by Ten Speed Press, a division of Random House, Inc.
Disclaimer: I received a copy of Vegetable Literacy for the purpose of this review. The links to Amazon in this post are affiliate links, so if you were to make a purchase from them, I would get a small percentage of the sale, which may or may not be used to purchase elegant wigs for my cats. 40 Vegetarian Quinoa Recipes What I Ate This Week | Cauliflower & Kalamata Olives, Two Ways! Those sound fantastic – and now I totally want to run out and get the stuff to make one. That looks delicious, it would be perfect to serve as an appetizer at a party! Mmmmm this is perfect food for a party! These are beautiful! 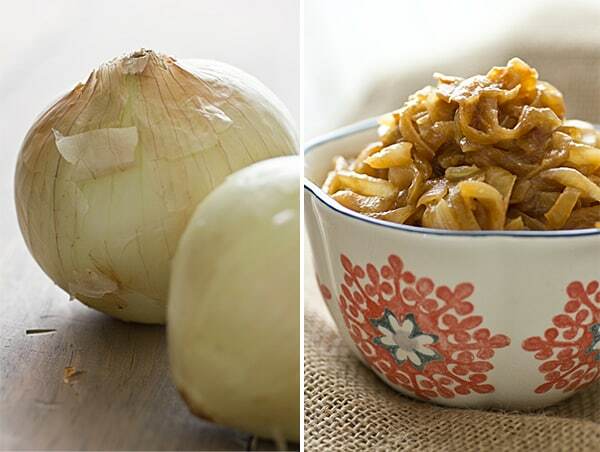 I love caramelized onions, but the time factor means I’ve only made them once or twice. I feel like I could eat a whole tray of these, though. I seriously think if my fiancee had to pick three foods to eat for the rest of his life, he’d pick spinach, caramelized onions & pepper. Seriously. Obviously I’m totally making this for him! I’ve checked the way you caramelize the onions. Great tips, thanks! That looks delicious and perfect for a weekend lunch – I shall be giving it a go this weekend for sure! I was all like “this looks amazing – great party food!” and then I was like “but what would really make the party amazing is if my cats were wearing wigs! That would be the BEST party. And your cats would love it, for sure. All of my favorite things on one sandwich! Do you have a George Foreman Grill? When I worked at a restaurant, we would caramelize onions on it! It totally cut down the time! Just slice, toss with some olive oil, salt, pepper, layer them on the grill, and close the lid! Super easy! Enjoy! I don’t have a George Foreman Grill, but I do have a Griddler! I am intrigued. 🙂 Thanks for the tip! If this doesn’t make your mouth water, you better check your pulse! These sandwiches look amazing. I’ve never prepared carmelized onions, but it looks like the time is worth it! After trying your recipes, he always comes home eager to see what’s on the menu and its just amazing to see that smile on his face. thanks for sharing these lovely recipes! I’m not really a fan of fresh pepper (any unprocessed capsicum family) – but the rest of it looks amazing. Would it still taste good without the pepper or do you have any recommendations for a replacement?